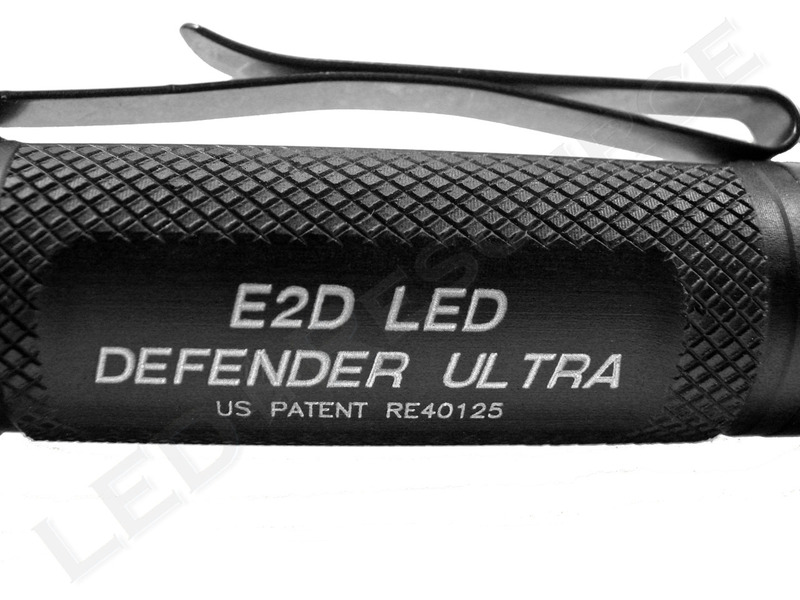 Slender and powerful, the E2D LED Defender Ultra is SureFire’s latest addition to the Defender line of illumination tools. Like the previous E2D LED Defender, the new Ultra provides two output levels and self-defense enhancements at both the head and tail cap. Equipped with a larger LED and newly designed optic, the Ultra is rated to provide a blinding 500 lumens of output in high mode as well as a long-running 5 lumen low mode suitable for up close tasks. 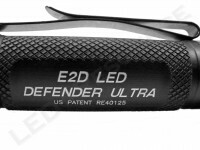 MSRP for the E2D LED Defender Ultra is $265. 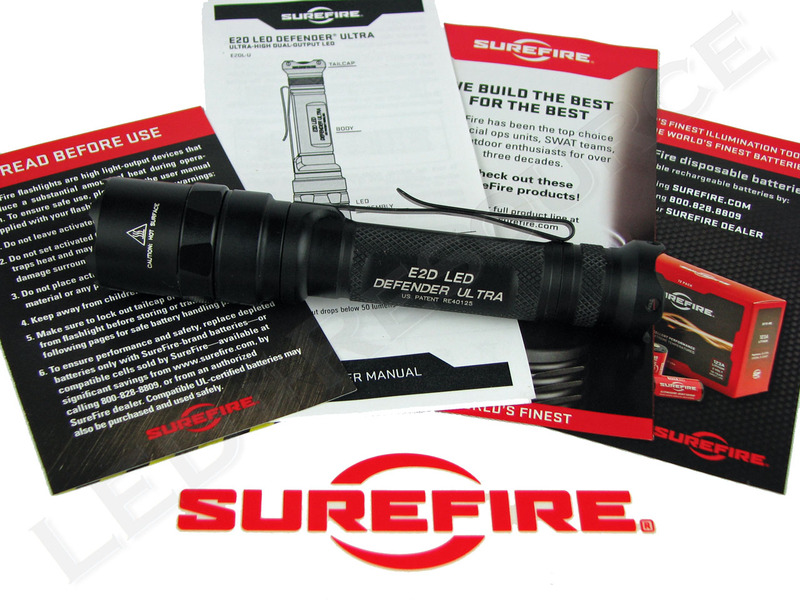 Included in the box are: SureFire E2D LED Defender Ultra, 2 x SF123A lithium battery (installed), user manual, registration card, and a SureFire sticker. 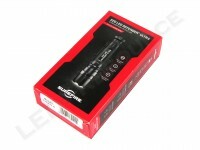 Although it comes equipped with two SureFire lithium 123A primary batteries, the Ultra can also be powered by 3.2V rechargeable lithium-phosphate LFP123A batteries. The batteries are supported by springs at both the head and tail. 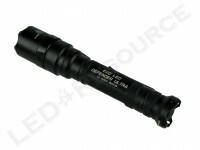 As with previous LED Defender versions, the E2DL Ultra features distinctive styling with the crenellated bezel for self-defense purposes as well as aggressive body knurling and a flared tail cap. 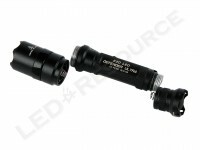 A tempered anti-reflective coated window provides protection for the Total Internal Reflection (TIR) optic which is used to produce a tight beam with enough surround light for peripheral vision. The bezel crenellations of the Ultra are less aggressive than earlier versions and slightly beveled, reducing potential for snagging when inserting the Ultra into a pocket or SureFire’s optional V82 nylon holster. 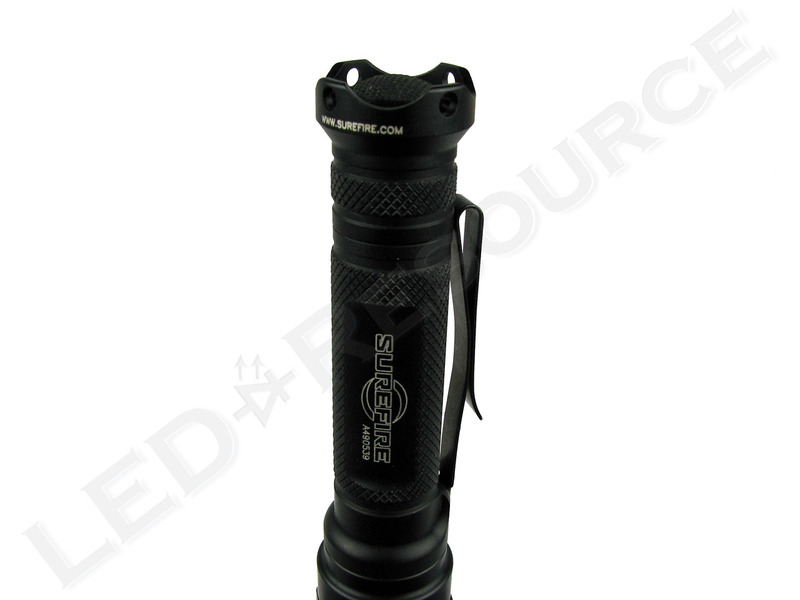 The body is Mil-Spec hard anodized for increased durability and is matte black in appearance. 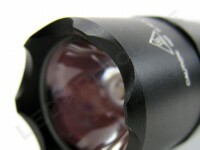 A two-way clip is provided which allows the Ultra to be carried in bezel-up or bezel down positions. Housed in the partially shrouded tail cap, a click-type switch is used to operate the Ultra. The shroud is deep enough to allow the Ultra to tail-stand on a flat surface. Unintentional actuation can be prevented by rotating (loosening) the tail cap approximately one-quarter turn. The tail switch can be used to activate either of two output levels. Partially pressing the switch will produce momentary output while a full press, and click, will result in constant-on output. The E2DL Ultra will always start in maximum output mode with the first press or click of the tail switch. The lower output mode is selected by returning to off and pressing or clicking the tail switch again within 2 seconds. 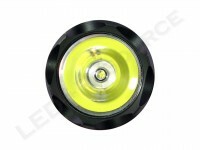 The E2DL Ultra is rated at a maximum output of 500 lumens and 16,000 candela. 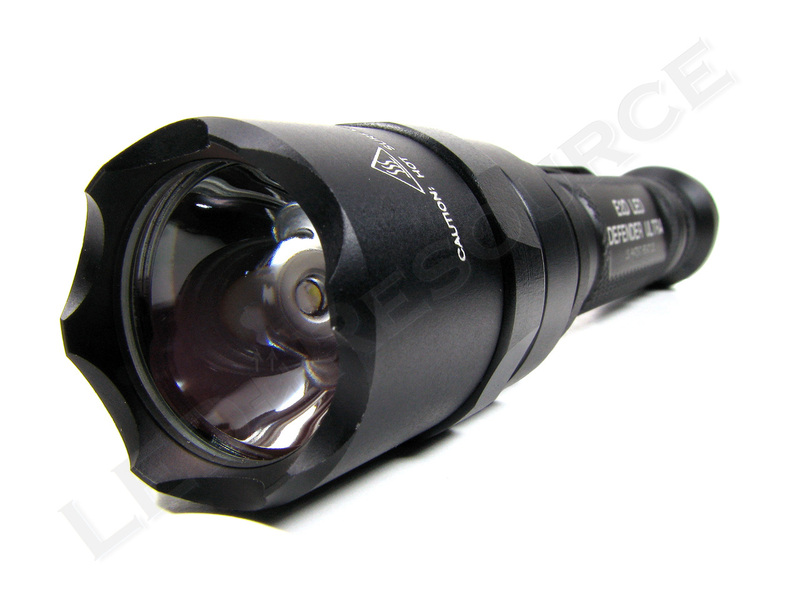 The 22mm TIR optic produces a bright center hotspot with an extremely broad spill beam. The overall beam is smoother and has fewer artifacts than previous generations of TIR optics. SureFire uses tactical and total runtime, which are not necessarily consistent with ANSI FL-1 Standard specifications. 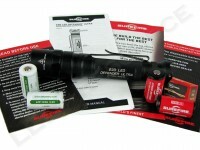 For the E2D LED Defender Ultra, maximum output runtime is given as tactical runtime (measured until output drops below 50 lumens), and lower output runtimes are given as total runtime until battery exhaustion. 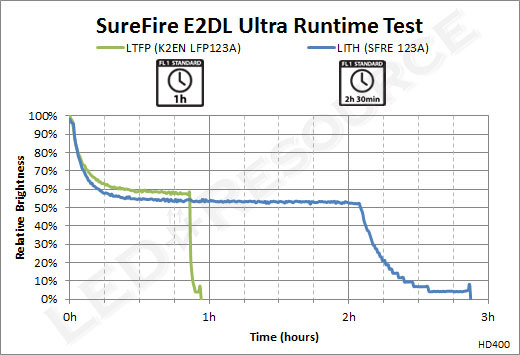 After a few minutes at full output, thermal regulation causes the E2DL Ultra to reduce output to below 60% which provides an extended runtime of 2h 30min, similar to the EB2 Backup. 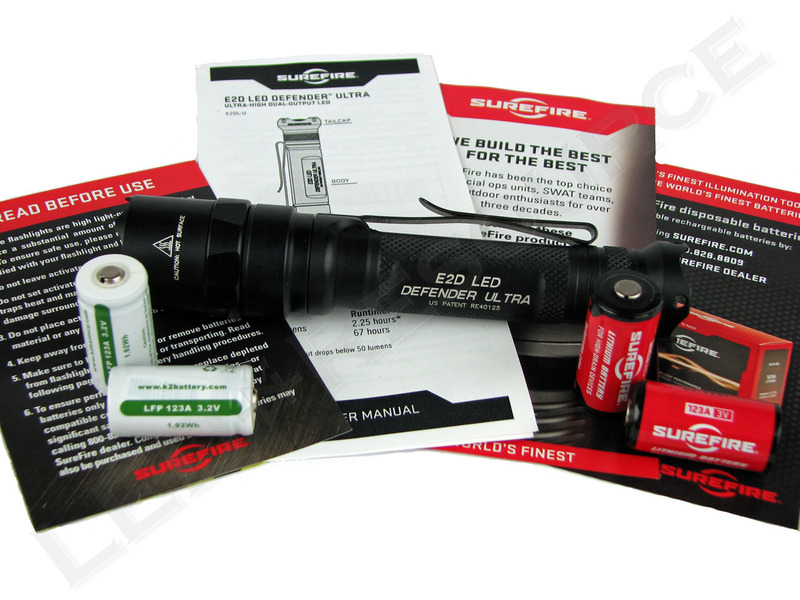 Although the E2D LED Defender Ultra provides the same, or higher, output as much larger lights, it remains compact and easy to carry and use. The two-way clip allows multiple carry options and the flared tail cap and plentiful knurling provide a secure grip. 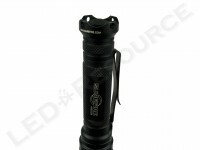 Blinding output, solid construction, and the crenellated bezel also allow the Ultra to be used as a self-defense tool, befitting the Defender name. 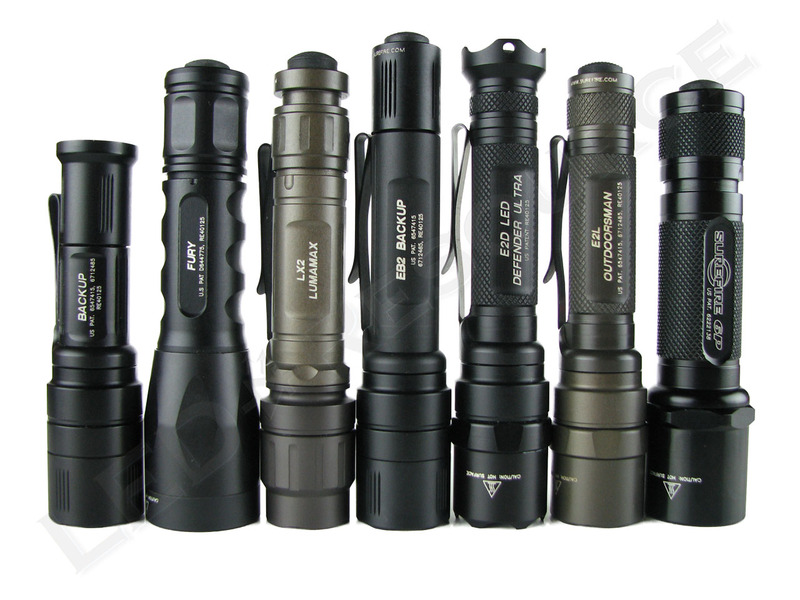 With the addition of a more powerful LED and larger redesigned TIR optic, the Ultra produces a very useful beam pattern, managing to combine long reach with an impressive amount of spill. 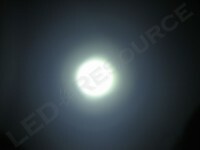 As a result, peripheral vision is greatly improved when compared to most reflector-based lights of similar output and reach. 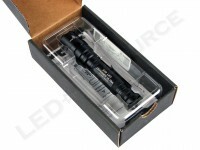 With this versatile beam and two levels of output, the E2D LED Defender Ultra is suitable for a wide range of uses. Good runtime (although at less than full rated output) with long taper as batteries become depleted. Do you know why FlashlightGuides’s review has a run-time graph that shows regulation for only 90 minutes but at an increased brightness of about 15%? Hello Hayden. 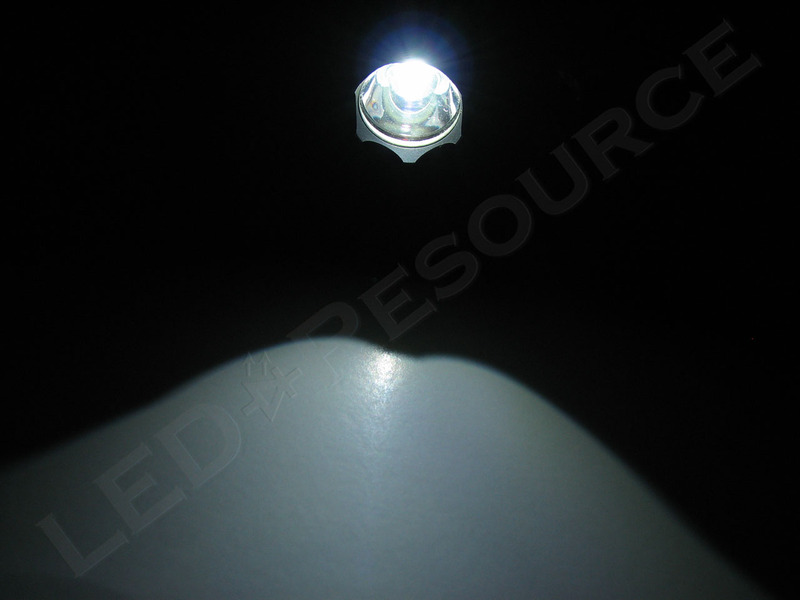 The difference is due to the thermal regulation of the E2D LED Defender Ultra. 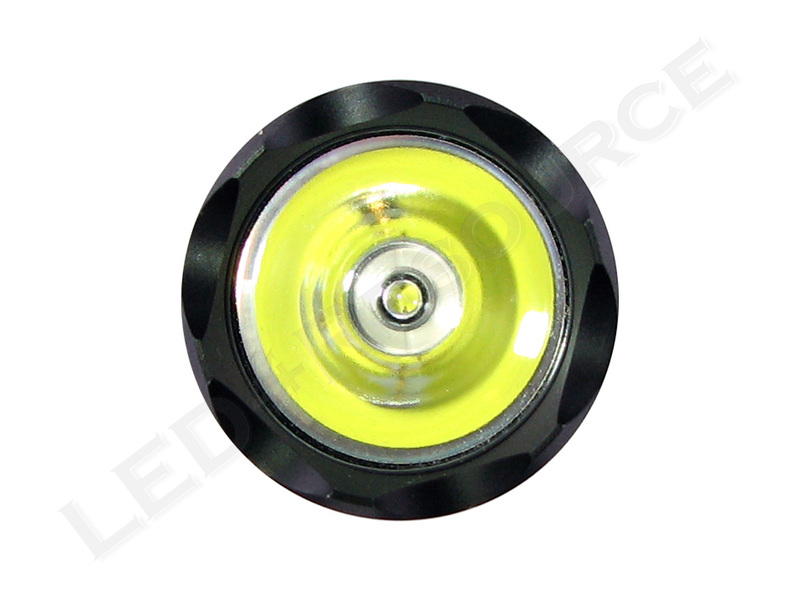 In my FlashlightGuide runtime test there was a little better ventilation which allowed the light to maintain a slightly higher output. As a consequence, the runtime was shorter. When I re-ran the test for LED-Resource, it was the other way around. Neither runtime test reflects real world usage unless you plan to leave the light running continuously while sitting stationary in a holder. I plan to buy my first surefire light in the near future. 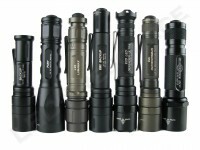 Can these lights run on icr 16340, 17670 or 16650? If not will those k2 energy 123 ‘s work in my xtar vp2 on the 3.2 setting or do I need the k2 charger. The xtar takes them up to 3.5/6 when the switch is set to 3.2. Thanks and keep up the great work on your website.